Less than a week after The Simpsons voice actor Hank Azaria seemed to shed a positive light on the controversy surrounding his character Apu Nahasapeemapetilon, series creator Matt Groening has come forward to give his two cents on the subject. But they're not exactly pretty. 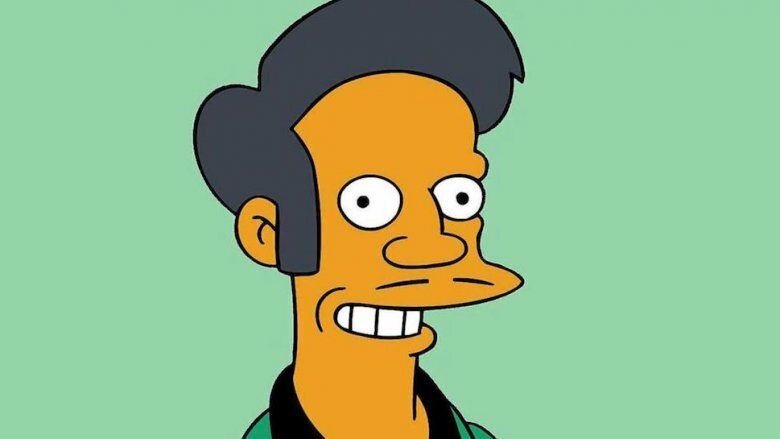 In an interview with USA Today, Groening stated that he feels certain Simpsons viewers are simply "pretending" that Apu, whom many have argued represents and perpetuates negative stereotypes about Indian and South Asian people, is offensive. Asked if he has "any thoughts on the criticism of Apu as a stereotype," the creative answered, "Not really. I'm proud of what we do on the show. And I think it's a time in our culture where people love to pretend they're offended." The interviewee then questioned Groening about his feelings regarding the divisive episode "No Good Read Goes Unpunished," in which Lisa Simpson quips that she's baffled "something that started decades ago and was applauded and inoffensive is now politically incorrect" and both Lisa and Marge dismiss the issue at hand. Groening said that the series would "speak for itself" moving forward, implying that it may or may not address concerns in a more direct manner at a later date, as Marge Simpson stated in the episode. Groening then likened concerns about Apu's portrayal, which reached a boiling point with comedian and filmmaker Hari Kondabolu's documentary The Problem with Apu, to the controversies that flared up in The Simpsons' early years, when Bart's brashness struck a nerve in some watchers. "When we first started, we were part of the downfall of civilization. Bart said he was 'an underachiever and proud of it, man.' Simpsons T-shirts were banned in grade schools. I felt that the controversy at the beginning of the show was, again, people pretending to be offended by Bart's very mild sassiness," said Groening. "I knew it would blow over. At the heart of our show is a churchgoing family who eats dinner together every night and is very traditional. They drive each other crazy, but they do love each other." Just days before Groening's USA Today interview, actor Azaria revealed that he's "perfectly willing to step aside" from voicing Apu if that's what's deemed necessary and most appropriate. "I really want to see Indian, South Asian writers in the room — not in a token way — genuinely informing whatever new direction this character takes, including how it is voiced or not voiced. I'm perfectly willing to step aside or help transition it into something new," he said. "I have given this a lot of thought, and, as I say, my eyes have been opened. And I think the most important thing is we have to listen to South Asian people, Indian people, in this country, when they talk about what they feel and how they think about this character, and what their American experience of it has been. And, as you know, in television terms, listening to voices means inclusion in the writers' room." With the man behind the character hoping to make things right and build a better future and the creator of the entire series seemingly taking a more lax attitude, it's clear that the trouble with Apu isn't going to resolve itself. The Simpsons executive producer Al Jean said he hopes to find a "more important" answer to the situation, but it's anyone's guess what that might be.